Office Blinds & Glazing Limited (OBG) was established in 1991. We are one of very few truly specialist Partition and Interior Glazing Companies. 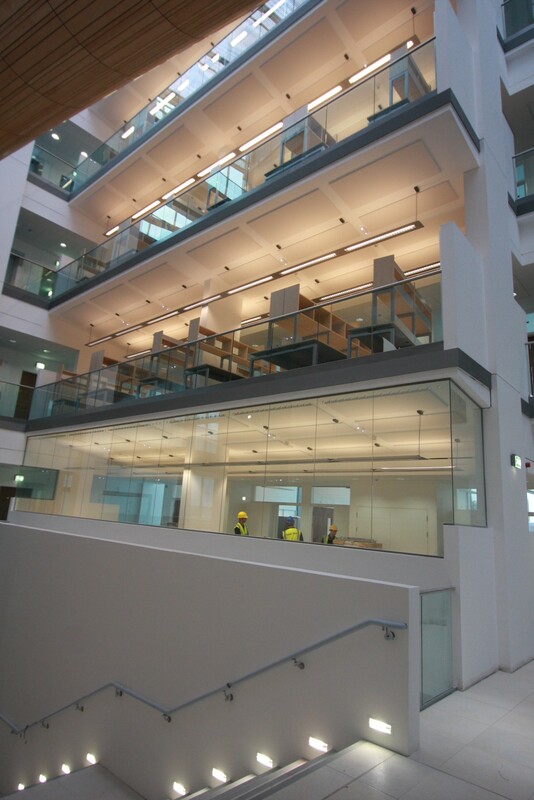 Over the years we have provided the sub-contract glazing services to many of the large Interior Fit-out Companies and Interior Industry Distributors. Our passion for delivering the best possible service and quality, on time and on budget, has helped us to develop an enviable reputation throughout the Interiors Industry. We do NOT use sub-contract or Agency Labour – All OBG fitters are fully employed time served craftsmen with many years experience and all hold current CSCS cards. This experience and efficiency, together with our competitive pricing structure, is the secret behind our continued success and our trusted reputation. From our humble origins we have enjoyed steady, controlled growth. We now employ over 30 full time staff, most of whom have been with us for many years. All our staff share our vision and commitment to provide the best possible service. Customer satisfaction has always been paramount. We take care to listen to and understand the needs of each client to ensure that we provide an appropriate, and cost effective solution tailored to each individual requirement. We specialise in the supply and installation of single glazed and double glazed frameless glass partitions, glass doors, sliding glass doors, fire-rated glass screens, glass fire doors, window blinds, switchable privacy film, Glass Splashbacks and Glass Furniture. From our factory in Rochdale we offer a nationwide service and have recently completed projects in Dublin, Belfast, The Isle of Man, Inverness and Portsmouth. We regularly undertake work in and around London, together with more local contracts i.e. Manchester Leeds and Liverpool. We are members of the Association of Interior Specialists (now the FIS), Constructionline and have CHAS accreditation.